Looking to step into a pair of men’s pull on jeans with an elastic waist and no zipper that is as fashionable as it is easy to wear? At NBZ, that’s our specialty! Our men’s pull on jeans are stylish, great fitting, and have no buttons or zippers – but you wouldn’t know it to look at them! Every pair of our men’s pull on elastic waist jeans and pants with no buttons are designed to combine looking great with the best in comfort and inclusive elements like a mock fly and soft, stretchy fabric. 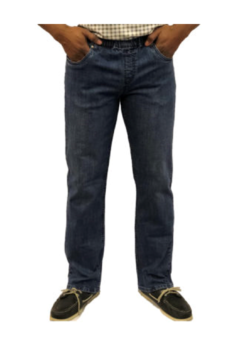 They are simply the most comfortable men’s pull on jeans and pants you will ever own. No front buttons, zippers or tags means no hassles. This, in turn, fosters independence and self-esteem while improving employment options. Our selection of men’s pull on denim and pants includes high fashion jeans, casual jeans, black dress pants and khaki pants. They are ideal for people without the manual dexterity to operate button and zippers. 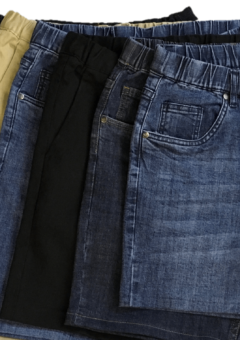 For additional information about these great elastic jeans without buttons for men, simply CLICK or TAP on the center of one of the product photos below to check out the most comfortable collection of elastic waist pants for men you’ve ever seen. NBZ Apparel offers fashionable options for men in an easy-to-wear design. Our clientele includes men who want great-fitting pants or slacks in an adaptive style, but also care about looking fashionable and polished. Too often, when it comes to finding clothing that meets our needs for comfort, it falls short in the style department. But we believe dressing in comfort shouldn’t mean having to sacrifice looking good. The truth is, being able to dress in clothes that are flattering and stylish helps people feel good about themselves. It boosts self-esteem and lets us face the world with more confidence. That’s why our adaptive clothing line of men’s pull on jeans takes special care to include important design elements. NBZ Apparel makes pants that use soft and stretchy fabric that feel comfortable and move with you, rather than feeling restrictive. The elastic waist found in every pair of our pants makes them easy to put on and take off. Our men’s elastic waist jeans with no zipper are carefully designed to be free of front buttons, zippers, and tags. 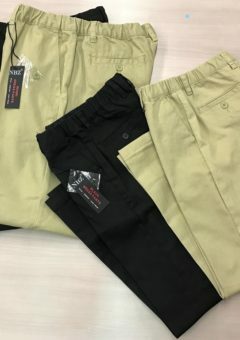 NBZ Apparel’s jeans and slacks have an easy-to-wear design that gives the wearer increased independence and greater dignity. At the same time, our jeans are made to match conventional styles of pants you see on men every day. For too long, those who lack the manual dexterity to manage buttons or zippers didn’t have the option of wearing style-conscious jeans and slacks. For those occasions when you need a more professional or dressy look, we offer dress pants with an elastic waist. Similar to our men’s elastic waist jeans with no zipper, they are made from soft and stretchy fabrics that are comfortable and stylish. We added style details such as front side pockets, slit pockets with a button on the back and a mock fly. Our dress pants are perfect for wearing to the office or a more formal event. What we wear affects how others perceive us. NBZ Apparel’s jeans and slacks allow men to who need adaptive wear to feel confident, attractive and open to opportunities.